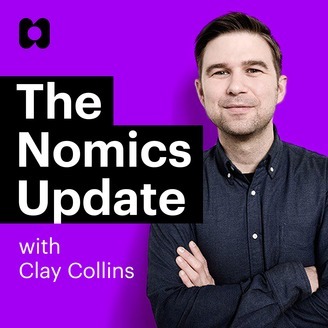 This is the audio journal of Nomics.com CEO Clay Collins. The podcast tells stories from inside our cryptocurrency & bitcoin market data API company. Topics include Nomics’ product roadmap; new partnerships; company outlook; important new ideas shaping the future of Nomics.com and Nomics crypto market data API; as well as business strategy, philosophy, crypto investing & fundraising. Nomics.com launched in January of 2018 as an API-first company. The company was created in response to increasing demand for professional grade market data products & APIs for institutional investors. 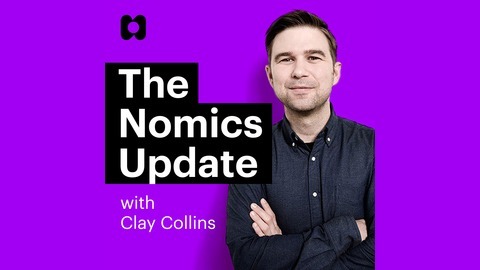 Become a supporter of this podcast: https://anchor.fm/nomics/support. There's a concept in cognitive psychology called theory of mind, and theory of mind is the ability for someone to predict what someone else might be thinking in a given scenario. Young children have pretty horrific theory of mind. They're unable in most cases, you know, when kids are pretty young, to guess what a third party might be thinking [00:00:30] in a given scenario. They're unable to figure out or estimate what someone else might be thinking. So an experiment that's done with very young children to figure out if they have developed theory of mind is a child who is being tested for theory of mind abilities might see a stuffed animal, and [00:01:00] the experiment or the person that's running this experiment would show the child that a stuffed animal sees a piece of candy. Then the researcher would cover up the eyes of the stuffed animal and put the candy in his or her pocket and then lift up the blindfold or whatever that's on the eyes of the stuffed [00:01:30] animal, and then ask the child who's seen all of this where the stuffed animal thinks the piece of candy is. And in most instances the child will tell the researcher that the stuffed animal thinks the piece of candy is in the researcher's pocket because the child ascribes to the stuffed animal what the child knows about where the candy is, even though during this experiment it was very evident [00:02:00] that the stuffed animal's eyes were covered when the piece of candy was placed in the experimenter's pocket. And theory of mind is something that is commonly known to differentiate between people with and without autism. So people with autism are known for not doing especially well on theory of mind tests, but theory of mind [00:02:30] isn't just something that people with autism score poorly on. I've found through the years that most people who are looking to engage in business relationships don't have very good theory of mind at all. They don't spend much time trying to figure out what the person on the other end of a deal might be thinking, what a customer might be thinking, what problems [00:03:00] they'd be struggling with. On a very, very small scale, it looks like salespeople who reach out to someone and try to set an appointment not using the time zone of the person that they're looking to set an appointment with. So let's say I'm in Chicago and I'm communicating with a salesperson in California, someone with highly [00:03:30] developed theory of mind, in my opinion, would give me times in my time zone, right, would relate to me on my own terms. They would also do some background and try and get a sense for what my pain points might be.